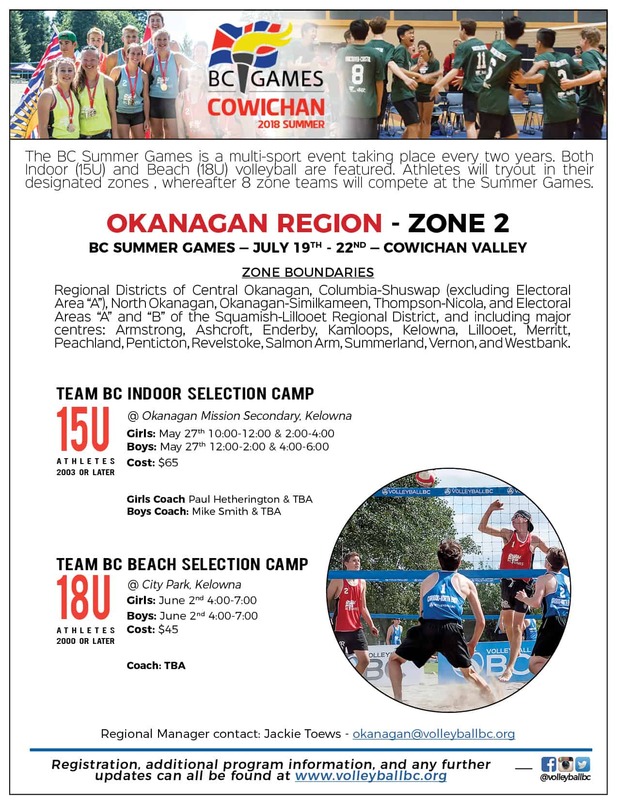 Here are some volleyball programs being offered in the Okanagan this summer! Click here for more information on Volleyball BC Beach Tournaments. Lake Country Volleyball Camps – Click here for more information. • Indoor – Click here for more information. • Beach – Click here for more information. Six Pack Sports Volleyball Camps – Click here for more information.